Experience Boating Before You Buy or Build. Experience the thrills and pleasures of boating before you invest in buying or building a wooden boat. Any time spent afloat will help you to decide, not only what kind of vessel is best for you but more to the point, whether you are going to enjoy owning one. 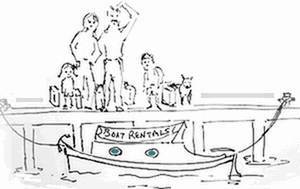 Most folk enjoy being afloat but some are happier just watching the boats from dry land. I've met several folk on my travels who have had the dream, bought a vessel and then discovered that the lifestyle was not for them. There are many reasons, seasickness, one partner not interested, the wrong type or size of vessel, underestimating the cost, etc etc. Fortunately, getting out on the water to give it a try, especially if for the first time, is becoming increasingly easy. There are numerous training centres, charter companies, clubs and holiday companies all over the world. So, before you invest time and cash on a vessel, give it a try a few times it may just keep you from making a costly mistake. That 'dream boat' can turn out to be an expensive white elephant if you or your family, don’t make full use of her. It is always worthwhile reading up on some of the theory there are a ton of excellent books on the market. 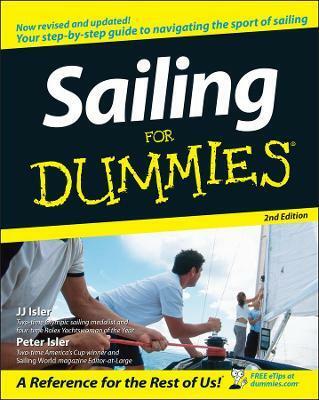 And you can read my own articles on mooring, anchoring and basic navigation techniques, however, there is no substitute for actually trying it out. Perhaps the best way to get some hands on experience is to crew for a friend or acquaintance. Most folk will be happy to take you out for day, if only so that they can show off their pride and joy. Before you ask, it might be an idea to make some discrete inquiries as to the ‘friend’s’ competence. And beware the nice guy who turns into Captain Bligh once on the water. For the more adventurous there are always crewing vacancies on vessels world wide. Several cruising websites such as Floatplan.com have crew wanted sections. Or gain experience, sea time and take part in a superb adventure aboard one of Sail Training International’s Tall Ships. They have National Sail Training Organisations in Australia, Belgium, Bermuda, Canada, Denmark, Finland, France, Greece, Germany, India, Ireland, Italy, Latvia, Lithuania, Netherlands, New Zealand, Norway, Poland, Portugal, Russia, South Africa, Spain, Sweden, Turkey, United Kingdom and the United States of America. If you don’t know anyone with a boat and don’t want to commit to gallivanting off on a long crewing cruise check out your nearest boat clubs. You can often find them listed in nautical publications in the classified section and most nowadays have websites which can be found on the net. Some of the larger clubs can be a bit snooty and oversubscribed, but on the whole boat-people are friendly and willing to encourage newcomers. Even if your dream is to go cruising and your nearest club is a dinghy or canoe club it might still be worth having that ‘on the water experience’ and you never know you might become hooked. There is no need to hang around the club bar waiting, put a notice on the club bulletin board. Explain who you are, that you are looking for some experience crewing, give plenty of details, such as when you are available and perhaps even a mug-shot, and don’t forget to include contact details. A holiday afloat could be the perfect opportunity to experience being on the water and combine it with a relaxing break. There are a mind boggling variety of different types to choose from, there are page upon page of adverts on the net. from Turkish Gulets to Tall Ships..
Perhaps the most difficult part is making a choice, try adding ‘wooden boat’ to your search. You can choose to just relax and enjoy the trip or pitch in and help. And, providing you have chosen a reputable charter, you can feel safe in the knowledge that you are in the capable hands of a professional captain and crew. There are some things that cannot be learned quickly, and time, which is all we have, must be paid heavily for their acquiring. They are the very simplest things, and because it takes a man's life to know them, the little new that each man gets from life is very costly and the only heritage he has to leave. Of course if you re really serious about becoming getting afloat, why not combine a taster with some instruction. Courses can be a superb way to combine a vacation with the right sort of training. A few classes with a professional instructor can be well worth making the effort. Not only will you be learning the techniques that make being on the water safe but feeling safe knowing that you are in the hands of a professional. This may very well be a selling point if you want to include your loved ones, making the difference between having a great time and a bad experience. 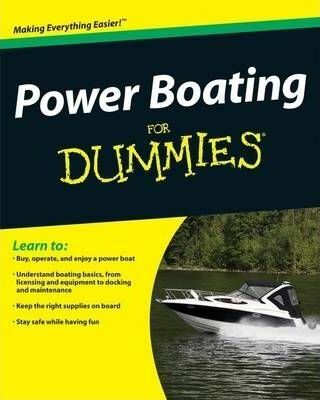 And the more you learn the more fun being on the water becomes. Courses are easy to locate so make sure to get with a good school to get the right instruction and your type of boating. 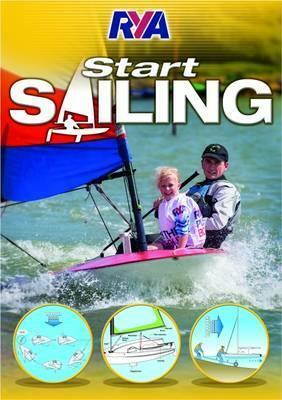 And for folk living in areas where sailing certification or a licence is required this can be gained at the same time. Boating in all its guises is a great hobby. There is no sport that offers a greater variety of emotions, experiences, destinations and social opportunity.